This Insight + Inspiration Guide dives into Architectural Photography and features articles from professional, working photographers who share their tips and tricks on setups, lighting, post-processing and more. Download now for FREE and get inspired! 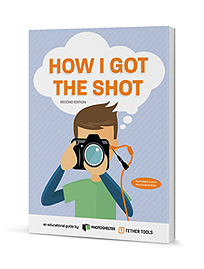 This Insight + Inspiration Guide dives into Headshot Photography and features nine articles from professional, working headshot photographers who share their tips and tricks on coaching, lighting, post-processing and more. This Insight + Inspiration Guide dives into Food and Product Photography and features eight articles from a wide variety of photographers who all use a distinct style both in-studio and on location. Go behind-the-scenes on a beauty product styling shoot in Los Angeles, on location at a crawfish restaurant in Louisiana, and a food and beverage shoot at the Waldorf Hilton in London. Download now for FREE and get inspired! This Insight + Inspiration Guide dives into Commercial Photography and features seven articles from a wide variety of photographers who all use a distinct style both in-studio and on location. Go behind-the-scenes on a photoshoot for SLAM Magazine, to the streets of London for a shoot of a rare Lamborghini, and in-studio for several lifestyle campaign shoots each with a unique flair. Download now for FREE and get inspired! The Insight + Inspiration Series kicks off with this Off-Camera Flash guide, featuring eight articles on lighting from master portrait and wedding photographers. Go behind-the-scenes in a New York City stairwell for a portrait shoot with a ballerina, out to Joshua Tree National Park for an engagement photo session, in a dark alley for a fire whip themed shoot, and much more. 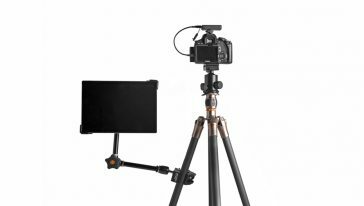 Tether Tools’ Better When You Tether educational series featuring behind the scenes articles from professional photographers is now available in an easy-to-read downloadable guide. 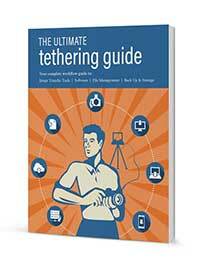 We partnered up with the industry’s best and brightest to offer insights into the power of shooting tethered. Download it now to refresh your skills or share it with fellow photographers, assistants, stylists and friends – it’s a great benefit for everyone on your shoot! Thirty creative and passionate female photographers share how they got the shot. Each educational article features a different image, behind-the-scenes images and video, as well as a detailed breakdown of how the shot was made. We’re proud to share this How I Got the Shot Educational Series with you and thank these incredible photographers for pulling back the curtain on their latest shoot. The How I Got the Shot Series showcases work from fifteen incredibly talented professional photographers whose work widely varies and includes fashion, commercial, light-painting, headshot, portrait, and automotive photography. We’re proud to share this How I Got the Shot Educational Series with you and thank these twelve photographers for pulling back the curtain on their latest shoot. 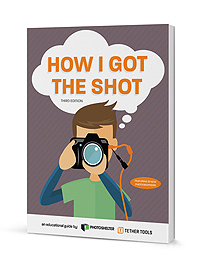 The How I Got the Shot Series showcases work from from twelve incredibly talented professional photographers whose work widely varies and includes fashion, commercial, light-painting, headshot, portrait, and automotive photography. We’re proud to share this How I Got the Shot Educational Series with you and thank these twelve photographers for pulling back the curtain on their latest shoot. 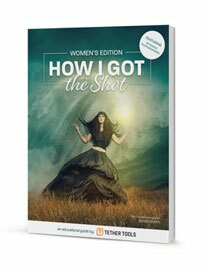 The How I Got the Shot Series showcases work from ten incredibly talented professional photographers whose work widely varies and includes fashion, commercial, time-lapse, product, portrait, fine art and conceptual photography. We’re proud to share this guide with you and thank these ten photographers for pulling back the curtain on their latest shoot.